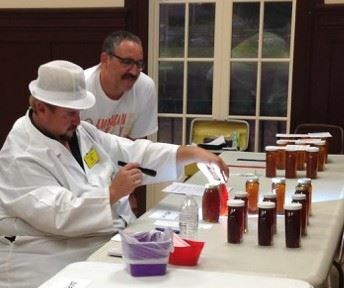 CEBA members compete for honey awards in a competition based on the Young Harris College/University of Georgia Beekeeping Institute Welsh Honey Show rules, regulations and categories. Honey is judged on many factors, including presentation, cleanliness, clarity, aroma, viscosity and taste. 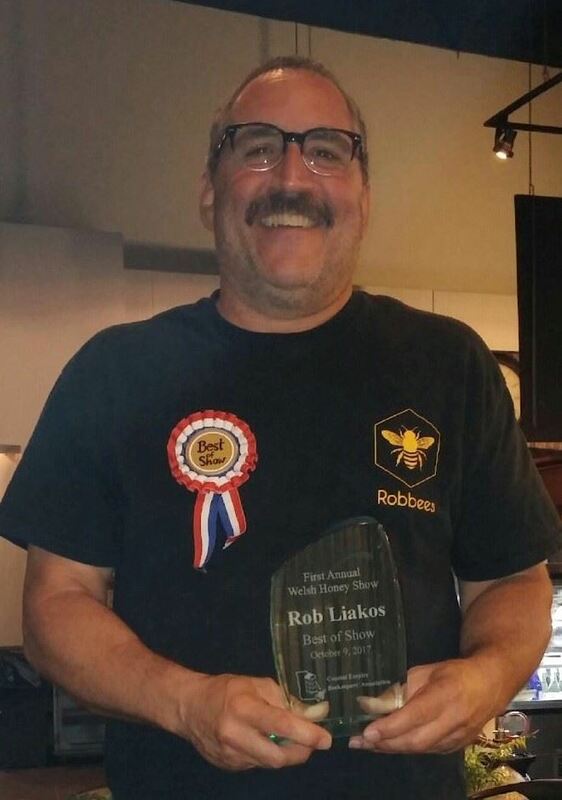 The Black Jar Category — judging honey based on taste alone — is perfect for new beekeepers. 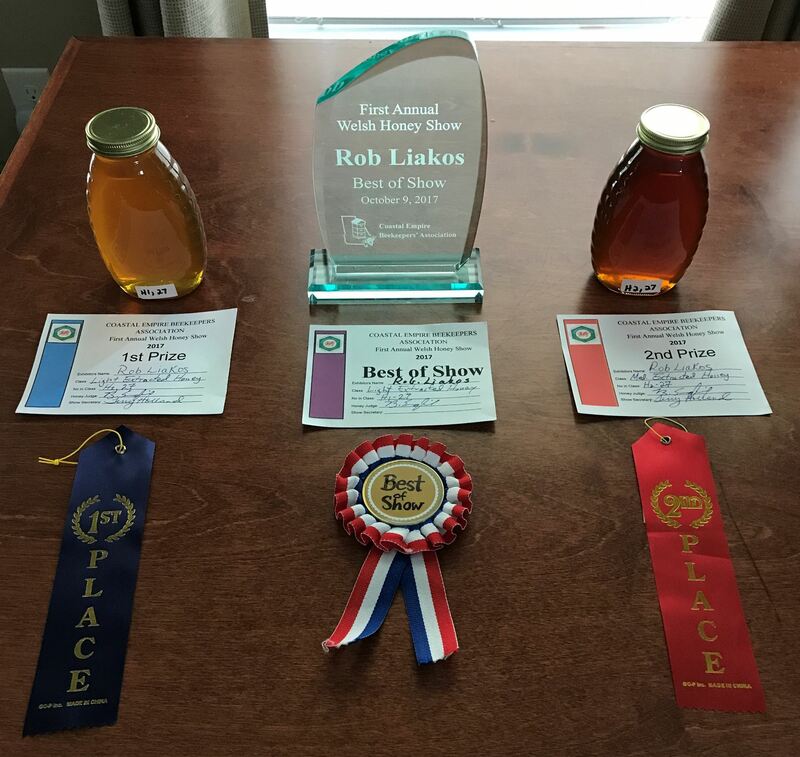 The Welsh Bee Keepers Association partners with the YHC/UGA Beekeeping Institute to offer training and certification for honey show judges. The Welsh training is the most stringent of its kind in the world for aspiring honey judges. New Welsh honey judges receive a white judge’s coat and hat during the YHC/UGA graduation ceremony. They are expected to wear these when they serve as qualified stewards or judges. This show was held on Oct. 9, 2017.